The first series of blogs (numbers 1 – 8), under this same title, focussed on the period 1955 to 1994, especially and including the 27 years of the ‘culling era’ (1967 – 1994). It ended in 1994 after a period of continuous annual culling when the elephant population in Kruger National Park was reduced to 7000 animals every year. I further stated (in the last series of blogs) that 7000 were far too many elephants for the Kruger habitats to support sustainably; and I recorded the fact that, by 1994, the Kruger scientists had still not determined the national park’s elephant carrying capacity. NB: The elephant “carrying capacity” of a habitat is the maximum number of elephants that the habitat can sustainably carry without causing permanent, progressive and irreparable damage to the habitat’s vegetation. Throughout this period, the Kruger scientists’ yardstick for habitat health (in the entire national park) was a 1944 Top Canopy Tree study that was located in the central Satara area of the game reserve. It was considered – arbitrarily – that the habitats in this area were representative of woodland areas throughout the greater part of Kruger National Park. In 1944 there were, on average, 13 top canopy trees per hectare in the Satara study area. NB: A “top canopy tree” is a large and dominant tree in a woodland complex. It has large and spreading branches that touch those of adjacent big trees, and this creates a habitat of continuous top canopies that is used by a host of specialised animals that cannot live in any other environment. Animals that are dependent on continuous top canopy tree habitats include: bushbabies; greater galagoes; squirrels; monkeys; a variety of arboreal snakes and other reptiles; a host of bird species – from big eagles to sunbirds; a vast variety of butterflies, moths and insects; and many other creatures. There are many species of plants – climbing vines, tree orchids and parasitic mistletoes – that depend on canopy trees, too. Beneath the spreading branches of these big trees, occur a large variety of understory plants that can grow only in the tree’s dappled shade conditions. And beneath those dependent primary understory plants – many of which are small tree species – there are several more layers of secondary and tertiary understory plants that reach right down to ground level. And on the ground there is a mat of dead leaves, sticks and twigs in which there exists an unbelievably rich mass of small animals and plants (like mosses and ferns) that thrive in such an environment. This is where the bushbuck, the grey, blue and red duiker, and nyala thrive; where there exists a mass of small bird species and reptiles – lizards, snakes and chameleons – that can be found nowhere else. There is a layered moisture and temperature regime throughout this understory complex, too, that is dependent on the availability of various shade levels and protection from desiccation by the sun. All this rich biological diversity is entirely dependent on the continued existence of the top canopy tree – which dictates all the environmental conditions that persist under its spreading branches. If the top canopy tree dies, therefore, the diverse habitats that can exist nowhere else – other than under its branches – disappear; and all the plants and animals that once lived in the tree’s unique understory habitats, become locally extinct. In 1994 the scientists of Kruger National Park declared that the top canopy trees in the park had been reduced (by too many elephants) ‘to’ a level that they then estimated to be 95 percent of their former climax numbers (mid-1950s). Today, they say the reduction in top canopy trees is “more than” 95 percent. 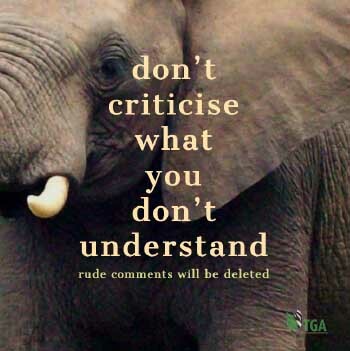 In view of the discussion we have just had – with regard to the biological diversity conditions that relate to top canopy trees – I must ask my readers to try to understand the tragedy that has taken place in Kruger National Park since 1955, as a consequence of inappropriate elephant management action; and why appropriate elephant management action should be implemented with immediate effect. And there is a lot more to come. By the end of the present series of blogs, I expect you, the reader, to be apoplectic with concern for South Africa’s premier national park. It is high time this whole story be laid bare for public scrutiny. I intend to do just that – to lay the facts bare. This is all vitally important information for anybody who wants to really understand the elephant management conundrum in Kruger National Park today – and we will discuss this subject, in depth, as we progress through this new series of blogs. In this first blog in the new series, however, we must focus on stating the facts as we found them in 1994. 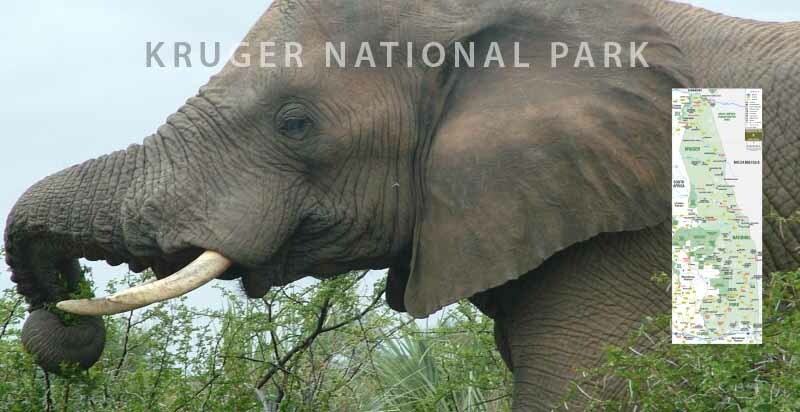 Nobody – other than me (in the last series) – has ever provided the South African public with a properly reasoned argument in support of what he, or she, believes to be the true elephant carrying capacity of Kruger National Park. So let’s have a re-look at what I said. We have clear hindsight knowledge which tells us that when the elephant population stood at an estimated 3 500 (c.1955), the trees in the Satara Top Canopy Tree study area were all intact. I believe, therefore, 3 500 was the true elephant carrying capacity of Kruger National Park – that is, when the Kruger habitats were still healthy. By 1965, however, Satara’s 13 trees had been reduced to 9, so it was between 1955 and 1965 that the rot really set in. I must point out that the Kruger habitats of 1955 are no longer “intact”. They are now greatly degraded. Today, most of the top canopy trees that existed in 1955 have disappeared; and the physiognomic character (physical aspect) of the national park has changed. The sustainable habitat carrying capacity (for elephants) is now, therefore, much reduced. Consequently, I believe it would be prudent for the elephants of Kruger to be reduced not “by” any number, but “to” a number – 2 500 – and that they be kept at that level (by an annual culling programme) until the habitats have recovered. And to recover, the habitats may need a lot of help. This process may take 50 years or more! So what does this mean in terms of the number of elephants that need to be taken off Kruger National Park? Today the numbers of elephants in the park are, arguably, 20 000, plus-or-minus 5 000. Regrettably, the figures released by SANParks, today, are (in my opinion) not reliable. So now you can do your own rough sums. But don’t throw your hands up in horror. Wait till you have read the whole story – which will all be revealed in the blogs to follow. What I can say with complete certainty, is that acceptance of this rationale, and the implementation of such an elephant population reduction programme, is the only way for South African society to protect Kruger National Park’s biological diversity – what is left of it! And THAT is the most important of all considerations. So much for the animal rightists’ insistence at CITES CoP17 in Johannesburg, last year, that the African elephant is facing extinction!